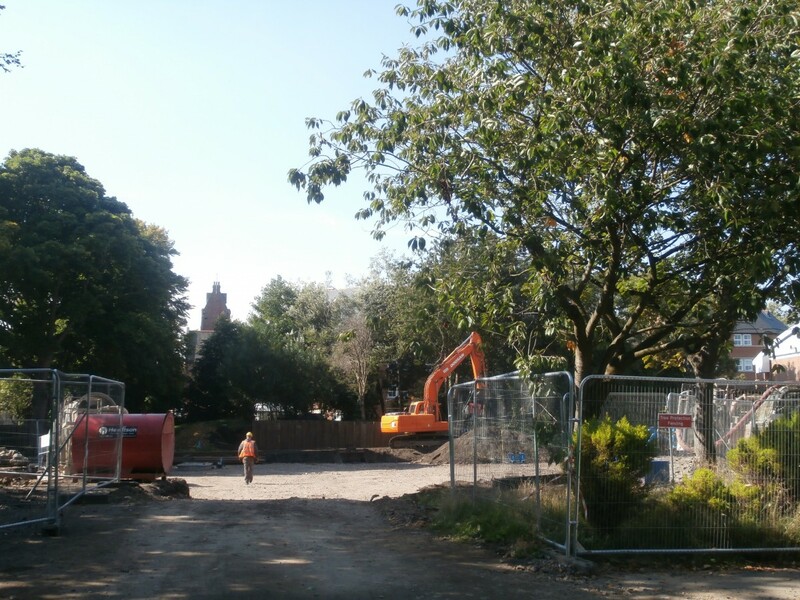 Construction work on the foundations of the new build on the former Junior School site finally got underway at the start of September. 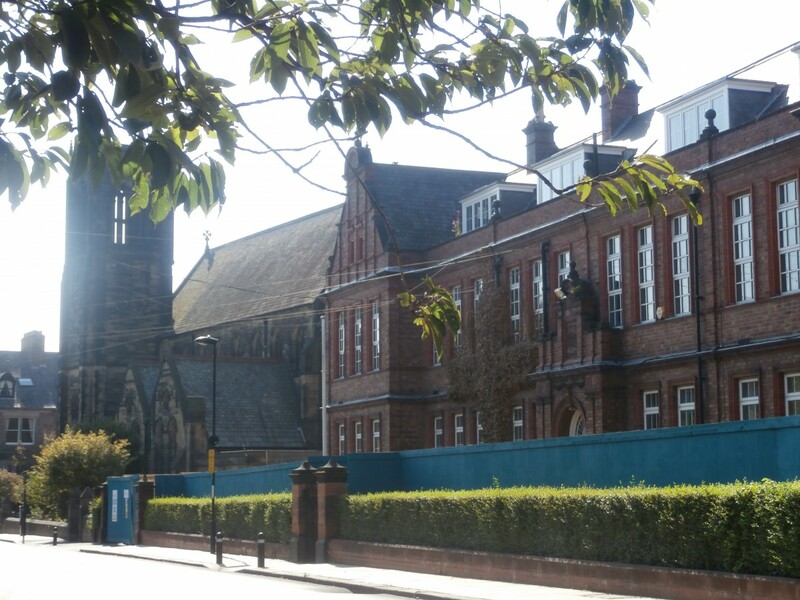 My first visit with my camera was on September 11th, a warm and sunny Wednesday lunchtime when, even with the construction fence surrounding it, the old Church High building still looked very beautiful and leafy green against a clear blue sky. 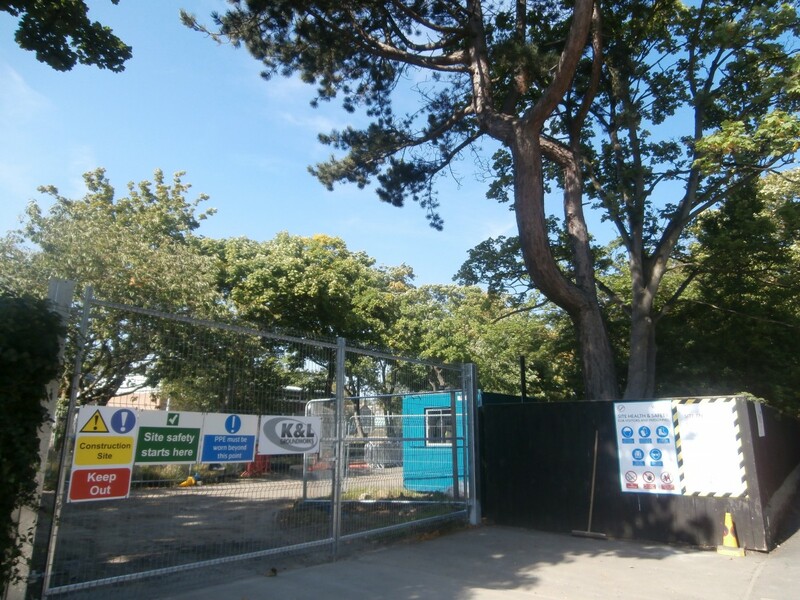 The fencing around the former Junior School grounds now displayed the Wates’ construction site signage instead of Tolents’ and through the open gates I could clearly see and hear that the construction work on the new building’s foundations was already well underway. Ground has already been levelled for the foundations. 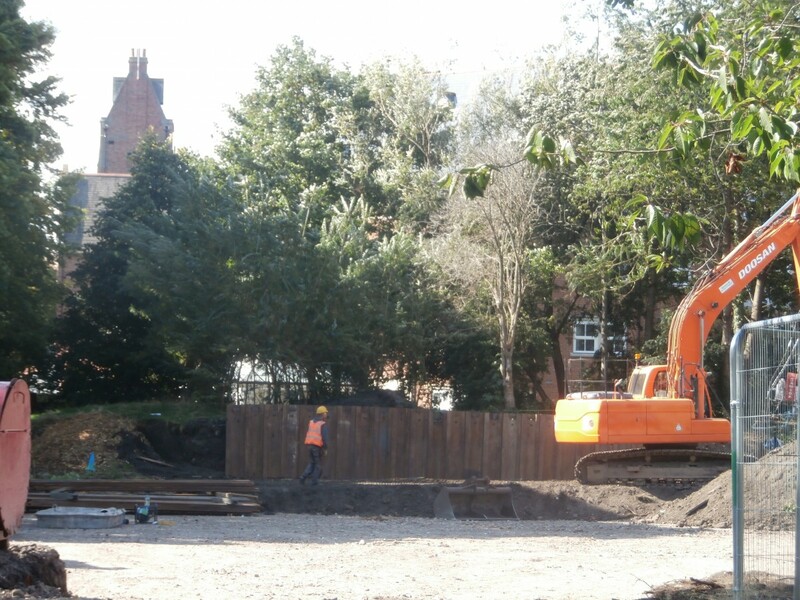 The ground had already been levelled and a section of the densely-planted, hilly embankment which used to stand behind the Junior School soft surfaced play area had been sliced away and a line of retaining steelwork was in the process of being put into place. Retaining steelwork in process of being put into place.